The Okto-XL is available in a ARF (Almost ready to Fly) - Version. All electronic devices are tested, programmed and configurated. 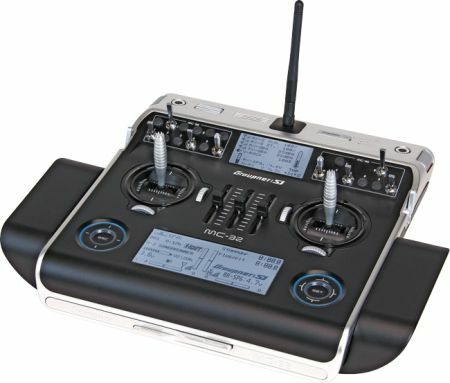 GPS and NaviCtrl are already included. The ARF-Okto is already configurated for the mx-32 and mx.32 HoTT Transmitters. So it is the easiest way to start. Direction independent control mode "Carefree"
Additionally you can have additional information such as the single temperatures of each motor controller (Brushless ESC). The transmitter has a built-in speech output. So, all values ​​of the telemetry are available as an announcement. Example: If you move the GPS switch to the "hold position", says the station "GPS hold". In addition, important messages are spoken automatically like "Low Voltage". The curves are calculated for a 10.000 Lipo.